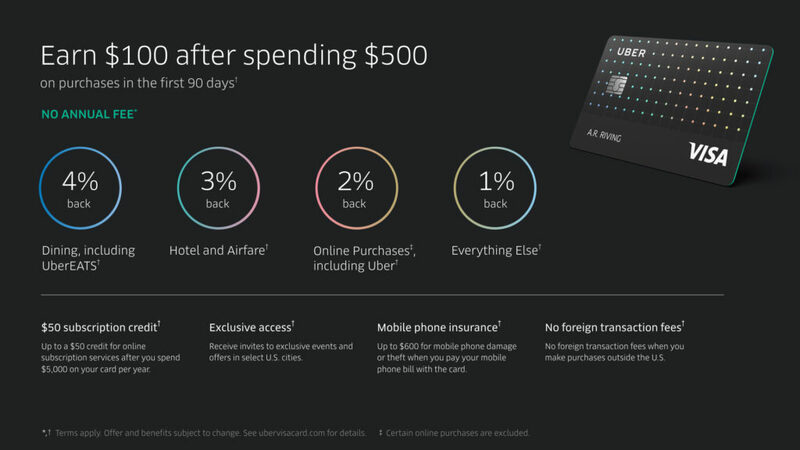 Uber is at it again trying to reach their footprint even larger with their brand new credit card with some actually impressive categories. 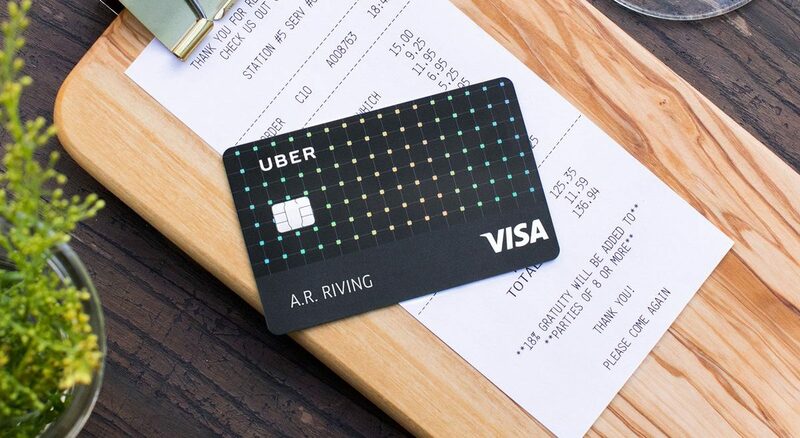 This isn’t a rewards card but rather a cashback card so you won’t be bound to just earning Uber credits. While I’m not a big fan of cashback cards due to their lackluster earning rates the big pull of this card offers 4% back at restaurants (including UberEATS). Some basic information about this card, it’s issued by Barclaycard and is a Visa branded card. It earns 4% on restaurants and UberEATS, 3% on hotel and airfare, 2% on Uber, online services (including streaming sites, online gaming purchases, and online shopping, and 1% on every other purchase. The cash back is deposited into your account as points which can be redeemed for Uber credits and cashback. If you want to redeem for Uber you can start redeeming your points starting at $5 and if you want cashback you can start at $25. As with most cash back cards your points never expire and there is no limit on how much you can earn, even per the bonus categories. Some more minor perks include no annual fee, no foreign transaction fees, and variable APR between 15.99% and 24.74% depending on your creditworthiness. The signup bonus isn’t spectacular but will be fairly easy to accomplish, spending $500 will grant you $100 bonus in your account which equals 10,000 points in the points currency account. What’s nice is that if you’re instantly approved you can start using the card immediately with a temporary card number. If you pay your full mobile bill with this card you will be covered with up to $600 of coverage with a $25 deductible. This coverage supports both theft and damage. Subscription services include: Apple Music, Pandora, Spotify, Amazon Music, Google Music, Audible, Sirius XM, Netflix, Hulu, HBO NOW, DirecTV NOW, the membership fee for Amazon Prime, and Shoprunner. This perk only becomes available the year after you meet the spend requirement. This means you only get this credit starting on year two of the card. This new card actually has some interesting perks, it out does every other card with its base earning rate for restaurants which can come in handy if you’re someone who eats out a lot. However the value of these points aren’t extremely valuable if you’re looking to do more than just cash back. You may find more value with other cards that offer higher value of points such as Chase’s line up Ultimate Reward earning cards. What surprises me is that it feels as if Uber thought of their service as an afterthought for earnings. I’m surprised that they only do 2% earning for Uber rides instead of 4% and that most the categories are seen in a standard travel card rather than focused on Uber. While we may not know all the details it seems interesting that Uber also decided to go for a cashback model instead of an “Uber Rewards” system instead. Uber has stated many times they want to keep users for the long term, that’s why we don’t have a huge signup bonus and minor perks that would closer push you to keep the card and put monthly bills on the card instead. This probably isn’t a card that I will pickup and not something that I would recommend as I feel there are better bonus earning cards out there that edge out Uber with their card. Previous articleWhat Is The Largest Airline By Number Of Passengers In Each State?